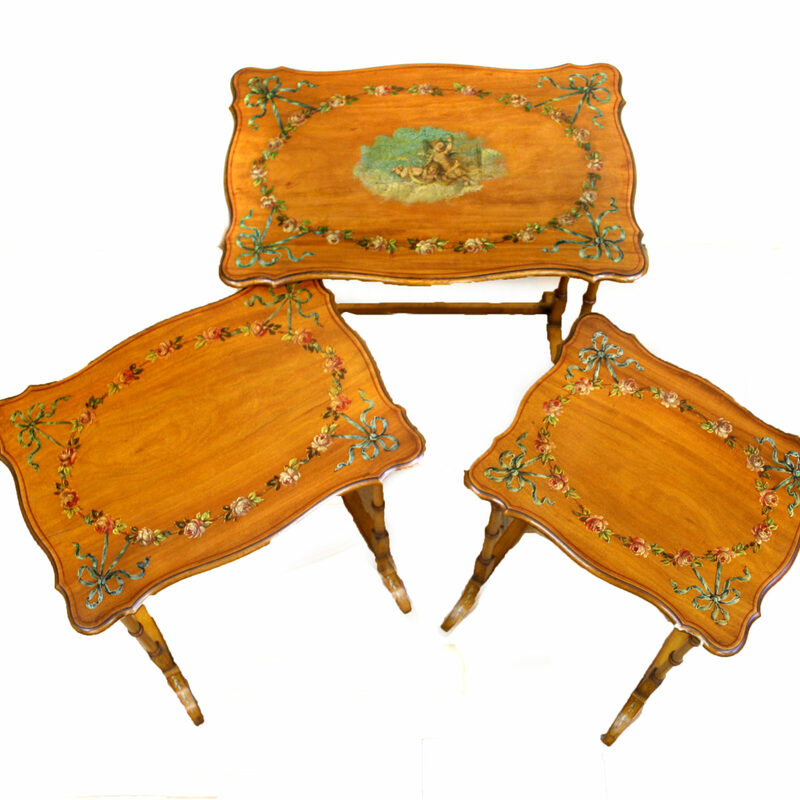 A late Victorian nest of three satinwood hand painted side tables. 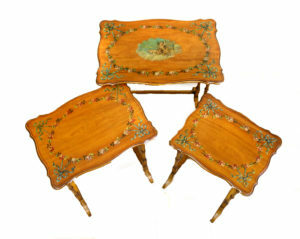 The tops are shaped with rounded corners and scalloped edging. Each table is decorated with flowers and ribbons. 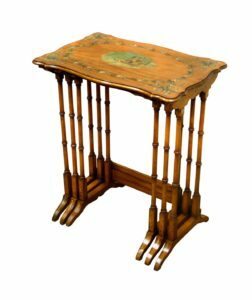 The largest table has a central painting of two cherubs. 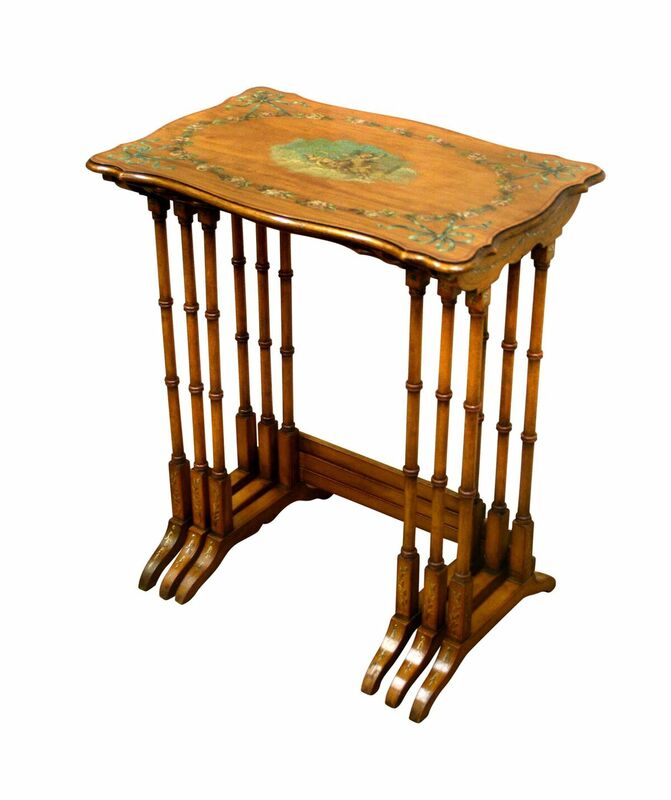 They are raised on a faux bamboo style leg and each table foot is hand painted with flowers.